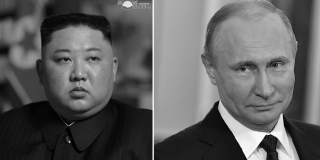 Since the death of Kim Jong Il in 2011, his handpicked successor, Kim Jong Un has put in place a number of policies that indicate a willingness to change his country, and, dare I say it, reform it. Okay, yes, what do I mean by reform? Well, let’s take a look at what is happening in the North Korean countryside, specifically the newly instituted ‘Farmland Responsibility System’ (literally: Vegetable Garden Responsibility System; 포전책임담당제/포전담당제). Why look at the countryside? In much of the developed world, agriculture makes up a small and ever-diminishing part of economic output, and most people now live in urban areas. Not so in North Korea. 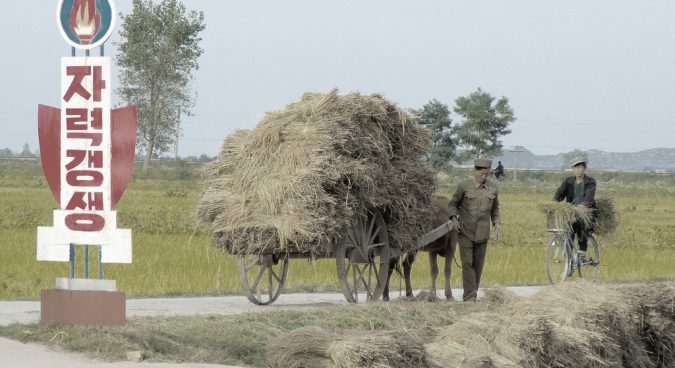 According to census statistics, North Korea is nearly 40% rural, with some 37% of its population engaged in agriculture, and a full 21.6% of its GDP comes from farming and fishing. What’s more, given the famine of the 1990s, the number of people engaged in agriculture, and the relatively high percentage of national income that it brings in, we should take North Korean agriculture very seriously indeed. When Kim Jong Un took power, the North Korean agricultural system had two major component elements: (1) the official, state-run collective farm system, and (2) unofficial, private farms often found on North Korean mountain sides (the so-called ‘Sotoji’). Sitting in-between these two was a gray area: private vegetable gardens, which farmers were officially allowed to maintain. We have no reliable data on how much output each of these two parts of the agricultural sector produce, but we do now have a number of confirmed reports that the system has undergone fundamental reforms. Reforms of state agriculture in Soviet-type command economies usually start with giving farmers the land they till. The so-called ‘de-collectivization’ of agriculture, i.e. the break-up of the state-run farming system, usually leads to a massive increase in agricultural productivity and food output. Farmers are no longer just state employees working for a fixed income/ration, but rather are self-employed and get to keep a portion of whatever they produce. Officially, in states like China and Vietnam, farmers were not allowed to privatize land, and remained tenants of state property. But the (re)introduction (the idea had been experimented with back in the 1950s) of a household responsibility system in the 1980s meant devolving all production and consumption decisions to the lowest economic unit – the household, and letting the household keep much of what it produced. 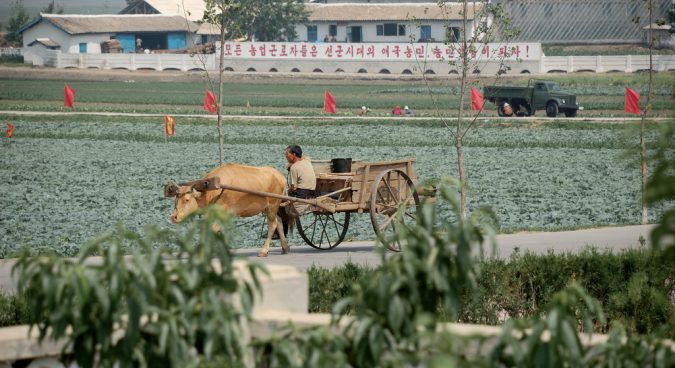 The idea of shrinking work teams, decentralizing production decisions, and letting farmers keep a share of whatever they produce has been discussed before in North Korea. Indeed, agricultural reforms to the state farming sector have a longer pedigree in the North than some might think. Back in 1996, the North Korean government announced the introduction of a new ‘Work Unit Management System’ in agriculture, ostensibly reducing the size of agricultural work teams. Similar proposals were mentioned in the 1st July 2002 Economic Management Improvement Measures, but yet again ultimately came to nothing after trials ended in 2005. Ten years later, on 28th June 2012, a new raft of reforms and economic changes were announced, with a fundamental shakeup of the agricultural system due to be part of it. However, initial reports turned out to seemingly be incorrect, the proposed reforms were being delayed due to complexity. However, from 2013 to present, the state has gradually moved to institute a ‘household’ system of farming. There have been conflicting reports about the exact size of the ‘household’ in the system, and on how much of their produce farmers have to give to the state. 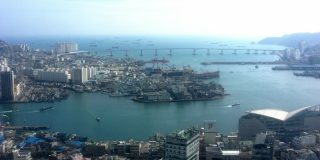 However, the system is in place, and has led to a marked rise in North Korean agricultural productivity and output. 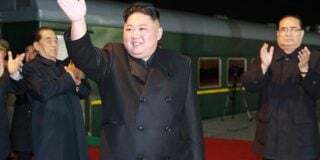 The UN’s Food and Agriculture Organization (FAO) report on the situation in 2015 indicates that in spite of drought, North Korea would only need to import around 10% of its food for the year, with record harvests in 2013 and levels maintained in 2014. 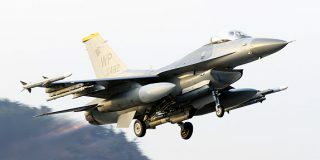 The system is now being openly extolled in the North Korean press, and has been for some years, with the new system first being mentioned in Rodong Sinmun – the country’s major newspaper – back in 2013. Since the Vegetable Garden Responsibility System (VGRS) was put into effect, the amount of grain produced by the First Work Team of the Komun Collective Farm in Sohung County has more than doubled. One of the secrets to their success is how the VGRS has raised socialist competitive fervor. The work team leader exerted efforts to divide garden duties according to circumstances. First of all, along with the rest of the work team, they gave each vegetable garden a rating. Then, after collective discussion, gardens were equally divided. Junior cadres were given gardens of inferior quality. On this basis, a production plan for grain production was drawn up accounting for relative quality of land, the distance and farming conditions. Socialist competitive fervor rose. The leader of the 1st group, poured every ounce of strength into making the land fit for growing grain, practically living on his garden. Team members, following his example, raced to join the competition. Following the division of vegetable gardens, collective farm members investigated the quality and depth of their own plots. They also employed new farming techniques and methods in keeping with the circumstances they faced. For instance, comrade Yang Jong-suk of the 2nd group was the first to understand that placing corn seedlings in star-shaped seedbeds stops sprouted seeds from being lost. After that, other collective farm workers adopted the same technique. Furious competitive fervor has taken hold, and with the enhanced collective spirit, group work is going well so Work Team work is also going well, resulting in a rise in rations for team members. As the article makes plain, the regime seems to understand that decentralization is good for business: farmers are more innovative and productive when they are working for their own profit. The state seemingly has tried (or presents itself as trying) to apportion land fairly, giving worse quality land to those who are more able to farm (junior cadres), and left farmers to decide how best to till what they are given. There is no discussion of how the harvest is divided except that rations have risen. Accounts on the ground dispute this, but the fact that the state is openly discussing the merits of an agricultural reform in its newspaper – a reform that uses market and individualistic incentives – is in itself, highly significant. Subscribe to read the remaining 1187 words of this article.